Ice Cream Bicycle | Ice Cream Dreams | The Ice Cream. 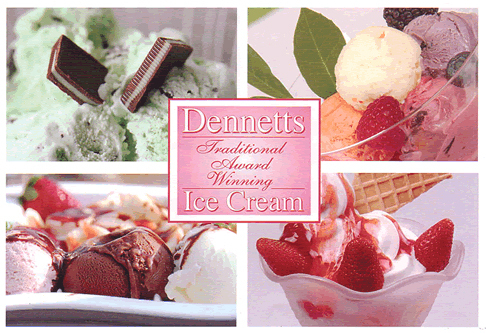 Carefully chosen from Dennetts, an award-winning traditional family creamery. 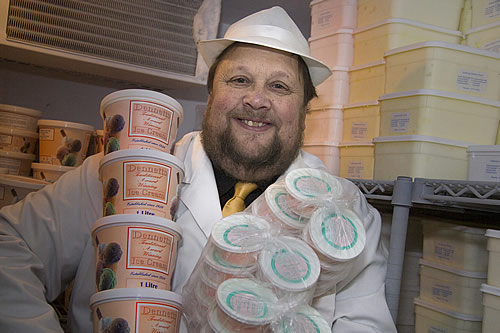 They have been creating delicious Ice Cream in the Lincolnshire Wolds since the 1920’s. Using locally sourced produce this Ice Cream is absolutely delicious. Handmade, full dairy, using double cream and buttermilk. It’s 100% natural and very probably the nicest Ice Cream you will ever have tasted. Dennetts produce a mouth-watering array of flavours from which to choose and include Sorbet and frozen yoghurt if required. No eggs are used in the ice cream recipe. However, the little bits and pieces added to give it that extra ‘wow’ may contain allergens. Things like the meringue bits in the Raspberry Pavlova will have egg and the biscuit bits in the Amaretto will have gluten etc. Nuts in the Peanut Butter and Pistachio. The clue is in the name. Please ask for our full allergen sheet if you have any concerns.